A study of world temperature since the last Ice Age, published this month, shows we are in the midst of a dramatic U-turn: gradual cooling ended in the early 20th century and turned to relatively rapid warming. The climate scientists who wrote the study say it provides further evidence that warming is caused mainly by carbon dioxide emissions since the industrial revolution, and not naturally. The study, led by Shaun Marcott of Oregon State University and published in Science magazine, reconstructs temperature changes over the past 11,300 years. It is based on 73 sets of climate data, mostly built up from analysis of the fossils of pollen, plankton and other marine micro-organisms. EDF, the power company, was denounced last week for attacking the right to protest, after it launched a damages claim for £5 million against 21 activists. 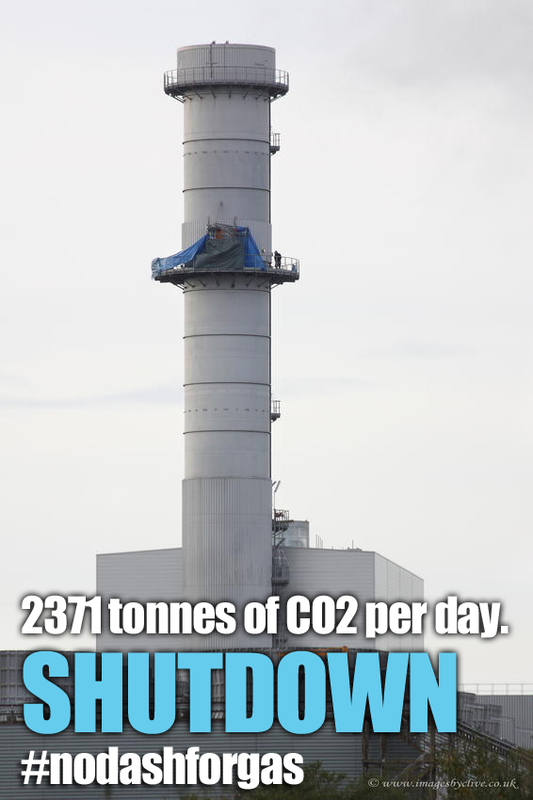 The claim followed a sit-in at its West Burton power station, organised by No Dash For Gas, that forced it to shut down for a week in October-November last year. The campaigners hope not only that people will pile pressure on EDF to drop the claim, but also that their action will help create a broad movement against the “dash for gas” specifically and fossil-fuel-driven energy policy generally. The context is that energy needs to be reclaimed as a common good, Ewa Jasiewicz, one of the activists who has been sued, says in this interview. Gabriel Levy. For people wish to support the campaign demanding that EDF drop the civil case, there is a list of very do-able things, such as signing petitions and tweeting, on the No Dash for Gas web site. But what more might people do? How would you hope the campaign might elevate? Ewa Jasiewicz. People can get involved in organising action. They can also take direct action at various facilities and target various companies that are part of the big six [EDF, British Gas, Eon, Npower, Scottish Power and Southern & Scottish Energy, who dominate the UK power market]. They can take the initiative in doing that, as other activists have done already and did do even before our occupation and shutdown at West Burton. You are currently browsing the People and Nature blog archives for March, 2013.